• Intrepid Interaction Legacy Bridlers Black Fly Veil. • Protects Your Horse S Face, Eyes and Ears. • Lets Horses See Clearly, Stays On In The Pasture and Inside The Barn. 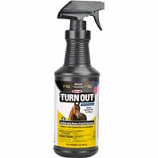 • Great For Horses That Are Turned Out All The Time. • It Is Like A Extension Of Their Own Forelock. • Repels Flies and Other Biting Insects. • Double Locking Fastener Hidden Under Jaw. • Comfortable Fit With Fleece Edges. • Decreased Attraction Of Debris With Fleece Rim. • Secure The Double Locking Fastener Under The Jaw, Making Sure You Allow A Couple Of Fingers Width Between The Fastener Edge. • Rub Free Design With All Edges Trimmed In Fleece. • Decreased Attraction Of Debris With Fleece Trim. • Superior Eye Dart Stitching For Enhanced Safety. Extra Reinforcement For Durability. • Excellent Quality At An Incredible Value. • First In The Industry Equi-Glo Reflective Tape: Now It S Easier To See Your Horse In The Dark! • Fits Horses 900 To 1200 Pounds. 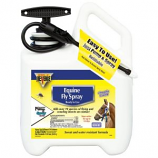 A multi-purpose multi-species insect control spray that provides powerful yet safe protection against harmful pests. 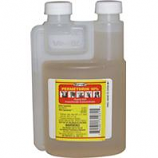 For use directly on horses dogs goats sheep hogs poultry beef and dairy cattle. 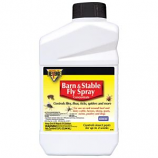 Also for use on animals' premises for example: barns stables pet beds porches garages. Also for use for other indoor/outdoor applications. Made in the usa. 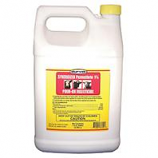 • This Concentrated Permethrin Products Is For Use Directly On Animals (Horses Dogs Goats Sheep Hogs Poultry Beef and Dairy. • Indoor/Outdoor+ On-Animal Use Kills & Repels Flies (6 Types) Mosquitos & Gnats 35 Day Control Of Fleas & Ticks On Dogs. • 60-Day Control Of Cockroaches Spiders & Ants. • Indoor Spot Application Only. • Apply A Light Mist Sufficient To Wet The Surface Of The Hair. • Not Recommended For Use On Puppies Less Than 12 Weeks Old. • New Formula Contains Prallethrin, A Proven, Effective Synthetic Substitue For Natural Pyrethrin. 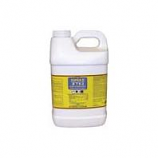 • Prallethrin Is Exclusive To Farnam For Use In Equine Products. • Repels and Kills Six Fly Species, Mosquitoes, Gnats, Fleas and Ticks. • Do Not Spary Near Horses Eyes Or Mucus Membranes. • Protects Exposed Areas Around The Mask, Including Muzzle and Ears. 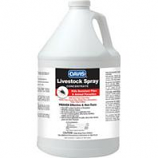 A long-lasting livestock and premise spray that provides knockdown and broad spectrum kill. For use on: dairy cattle beef cattle horses sheep goats dogs swine poultry livestock premises and homes. Provides excellent residual activity for up to 28 days. Effective insect control on animals indoor and outdoor premises. Made in the usa. 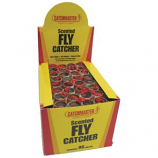 • Traps Over 8,000 Biting Stable Flies. • 360 Degrees Of Effective Trapping Surface. 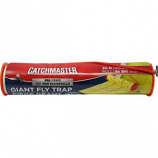 • Effective In The Biting Fly Zone Up To 4 Off The Ground. • Use Around Stables, Cattle Ranches, Poultry Farms, Kennels, Restaurants, Home and Garden. • Remove Trap From Box By The Black End Caps. • Do Not Touch The Clear Mid-Section Its Covered With Sticky Adhesive. Sweat proof and waterproof. 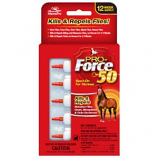 Protection for pastured horses ponies and foals for up to 14 days. 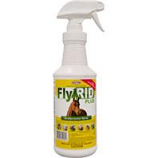 Kills and repels stable flies horn flies house flies deer flies face flies gnats ticks lice and mosquitoes. 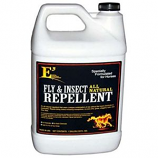 . .
• Repels Horn, Stable, House, and Deer Flies, Plus Mosquitoes/Gnats. • Repels House Flies, Stable Flies, Face Flies and Horn Flies From Wounds and Open Sores. • Kills On Contact and Is Effective For Hours. • Provides Even Fog and Ideal Particle Suspension Throughout The Life Of The Aerosol. • Fly Relief Catches Thousands Of Flies. • Supermask Ii and Supermask Ii With Ears With Double-Latch* Closure Have Twice The Staying Power Of Other Masks! • Fly Protection Made To Stay, Even During Horse Play!